I do not grade homework. I have been teaching a long time, so I have tired everything (see the list of blogs I have written about homework at the end of this post). Over the years I have graded homework for correctness and completion. In most cases I found that homework grades artificially inflated a students grades, and in some cases brought students grades down. Most importantly, because of help from friends, tutors and parents, homework grades rarely represent what the students actually know. I would love for my students to engage with math outside of class time for about 20 minutes a day. I do not want my students feeling lost, overwhelmed, or frustrated at home if they do not understand the homework. And I want the students to feel that the homework is important because it is relevant to the work that we do in class. I do not grade homework, but I do walk around each day to see if students had any questions on their homework (check if students are doing it). If they do not, I have them fill out a Homework Responsibility Sheet that I keep on file. Still, without the promise of a grade, homework completion has not been as consistent as I would like. I use the CPM (College Preparatory Mathematics) curriculum, and the spiraling homework is an important part of the curriculum, as the problems increase in difficulty each time they appear in the Review/Preview. 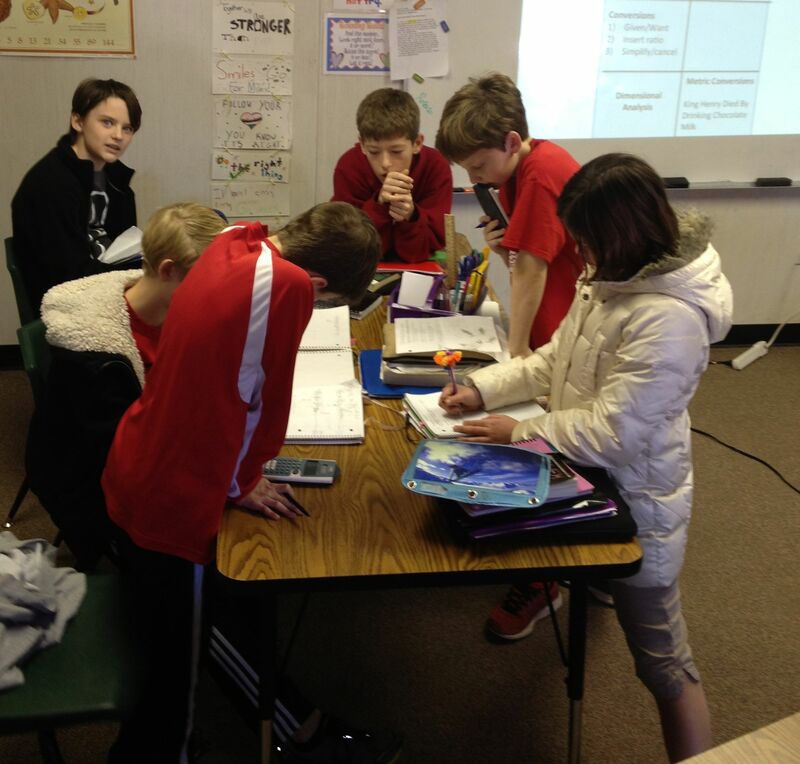 In CPM, the class lessons are a set of problems the students work through as a team in a “guided” discovery model. Then, they have a set of spiraling problems called “Review / Preview” that they do for homework. Since the homework is spiraling, it is not what the students have done in math classes before (example: 2 – 30 evens of the same exact type of problem they did in the lesson). So, some of my students do not feel that the homework is related to classwork. 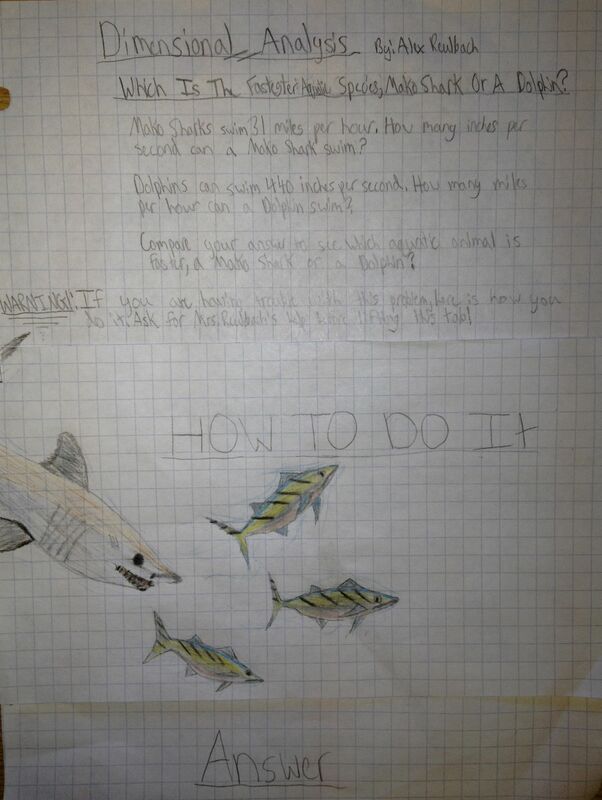 Additionally, the spiraling homework can be challenging if students have forgotten how to do a concept. So over Christmas Break, I came up with a new homework system. Instead of assigning the “Review / Preview” problems at the end of the section for homework, I assign ONE problem from the next section. This problem is usually the very first problem we would have worked on in class the next day. Usually the first problem is not too difficult for them to do, because it is an introductory problem that reviews past skills as an introduction to a new concept. When students come in the next day, they get the ONE problem out and talk about their answers. I walk around the room to check students answers and to see if everyone is participating. Once we are finished reviewing this problem, we can jump right into the next problem in the lesson. This “jump starts” the lesson, enabling us to finish the section early. And then, the students have time to work on their “Review / Preview” in class. This way they have each other, and me, as a resource while they tackle the more challenging review problems. My students absolutely love the new system. The work that they are doing at home is not too difficult, and connects to the work that we are doing in class. The more difficult “Review / Preview” homework is done in class where other students and I can help them. I did have some students not doing the ONE problem when I first switched over, but since it was the first problem of the lesson, they felt lost through most of class, even when their classmates tried to catch them up. This has encouraged more consistent completion of their ONE homework problem. As I tell them, everyone usually has the time to do just ONE problem, right? UPDATE: We just reached the end of the chapter, and there were some important problems that we did not get to during class time, as it’s difficult for some students to finish all of the Review/Preview problems during class time. At the end of the chapter I assign the closure problems. There usually aren’t that many closure problems and the kids are always asking for more practice. So, I went back through the chapter and re-assigned the important problems that most students were not able to get to in addition to their closure problems. It did not add that many problems as I was careful not to assign duplicates, especially if they were easier ones that the closure problems. Since we work on closure problems in class, I am excited to know that the kids will have done almost all of the Review / Preview, in class, for probably the first time ever. I definitely expect this to strengthen their skills! If you have a spreadsheet of your assignments for your students, then have all of the assignments automatically added to a Google Calendar, this post is for you! This post will also help those who have MANY dates they need to enter onto a calendar at one time. As a mom of three teenaged boys, I have many, many sporting events to attend this fall, 49 in all. The though of adding ALL of these events to our family calendar was daunting, so I decided that I wanted to try to automate it all. Yes, this took much longer the first time as I had to figure it all out. But it was worth it as I’ve since used this method to add other events, en masse, to my google calendar. So, it has saved me tons of time! I’m blogging about it so I won’t forget how to do it the NEXT time (lol) and so you can try it too if you want! I’m a newbie, so I probably won’t be able to answer technical questions if you decide to try it out. To learn how to add Google Calendar events from a Google Sheet, watch Thom’s video. Spreadsheet: You will need to copy his Google spreadsheet to get the FormMULE script. Permissions: You will need to permit Google to let you use this. It will say it’s unsafe bc it isn’t a Google Add on. Be sure your cell is formatted in the Date Time format if it is not an all day event so you can add the start time. I used the same end time as the start time. Updates: There is a way to update it the calendar, but there is a different Update video. I want students to be less stressed before math tests. I do not want them cramming the day before, asking me how to do every review problem because they have already forgotten, then asking me for more review problems to work. I want students to connect the ideas not only of the current unit, but of the previous math ideas that are also incorporated into the current material. I would love if students saw math as connected ideas, rather than “a long list of procedures” to be memorized. I want students to learn conceptually, not procedurally. This is tough to accomplish, as many of their math classes have been taught procedurally. I used to think that they would be so happy to have me as their teacher! I throw the rules of math class out of the window, and help them discover concepts on their own! However, I found last year that this was not the case with many of my students. Many were uncomfortable with the fact that I was disrupting their flow. These honors math students have been successful for many, many years learning the formulas and practicing, practicing, practicing until it was perfect. And their grade was perfect. They didn’t want to struggle to “discover the formula”. Struggling and not knowing make them feel insecure. Instead, they wanted the formula right away – so they could have more time to learn it, practice it, and get a jump start on tonight’s homework! They did not want me wasting their time. I kept telling them this was not the best way, but they did not believe me. So instead of telling them this year, I am going to have them read the research for themselves. The people that are the best math students…. How do you study for a math test? I will then give them a Plickers survey to find out their thoughts on math as a class. I use Plickers the first day because a few students will not have their technology ready. We will briefly discuss their answers and then I am going to show them this four minute video by Jo Boaler. I need to ask them to write after seeing this video. I’m still working on that and would love any thoughts or suggestions. For homework, I am going to have them read excerpts from Make It Stick, The Science of Successful Learning by Peter C. Brown. This fabulous book talks about how people learn, and what you can do to make learning stick. It is full of real life examples and specific strategies. The ideas and strategies are summarized in one of the last chapters of the book. After having them write and discuss how they think they learn best, I am going to have my students read some excerpts of this chapter, then discuss it as a class. This should benefit them not only in math class, but in most of their other classes as well. The next day in class, students will pick out what they felt was the most important ideas from the reading and share them. From this, they will decide on a learning goal for the year. I then had them fill out a Google Form to record their “one thing” they wanted to try from “Make It Stick”. I will keep doing discovery and conceptual learning in my classes. I am also replacing “massed practice” with interleaving practice and lagging homework this year. I am hopeful that having knowledge about how people learn will open their minds to this new style of homework. Winning over their mindset is half the battle! This is all still a work in progress! And if you want to join in on the planning, I’d love to have you! I will also be talking about my first day plan at the Global Math Department Webinar this Tuesday evening at 9pm EST. Please join in the conversation! I hope to have it more polished by then, as I start school August 17th! Last year I created, laminated, and then cut out homework passes to give out for a Halloween treat instead of candy. I intended to do this for Christmas as well, but it was so much work that I never got around to making anymore. I hate laminating and cutting things out. But, I did all of this work because I thought, “Once they turn them in, I can use them again!” This did not work! Some kids lost or did not use them. Many of the ones that came back had been stored in their pencil cases and were pretty banged up or kinda – gross. Plus, without names on them I sometimes forgot who had given them to me. Yikes! So, this summer, I got smarter! I bought a pack of Avery Business Cards for just $8.79. It has 250 cards in it! Then, I just printed homework passes on them. These cards were already precut, so I just had to break them apart. This was effortless as they pretty much fell right apart. I found a really cute font here. I will have each student write their name on it when I give it to them. I’m hoping this will work better! They were about one hundred times easier for me to make! I designed mine in Word. I wanted them short and simple so I wouldn’t use up too much precious printer ink. I did a Happy Birthday one bc I think that no one should have to do any work on their birthday! And, it’s a pretty cheap gift for me to give out. Here is the pdf if you just want to download it and print your own without having to design it. Click here to submit your MS Sunday Funday post! Mary Dooms, @mary_dooms, Grading policies–evolution or intelligent design? Cathy Yenca, @mathycathy, Grading (or not grading) Homework…? That is the question! My homework LIFESAVER this year has been my “No Homework – Responsibility Notebook“. Students who do not do their homework sign this binder. Every time they sign it deducts 2 points from their trimester homework grade. It’s so easy to keep up with and the students now know to just go and sign it when they come in class. It is zero maintenance for me! I do not “grade” homework right or wrong, but they do get a trimester grade for homework. I usually assign about 10-20 minutes of homework a night, Monday – Thursdays. I do not give homework on the weekends, but do expect students that are behind to spend some time catching up. I give students the answers to their homework before they do it. I expect them to check each answer as they work, so they don’t do 15 practice problems incorrectly. The homework is always easier than the work we do in class. I do not want them to struggle at home where I can’t help them. I just want to reaffirm the main ideas in class. I have created Concept Help Pages for students to go if they are confused. If they email me and then work on these pages I do require them to have completed homework. In this case they must come visit me before school for extra help. I do not collect and grade homework. I would rather spend my time planning engaging lessons! Each day I walk around and really examine everyone’s homework while they do the warm-up. I sometimes make students redo it. I do not grade their answers right or wrong since I give them the answers in advance. Students who do not complete their homework must sign the “No Homework – Responsibility Notebook“. This deducts 2 points from their trimester homework grade. About half-way through the year I have an increasing number of 7th graders that start skipping their homework. This year I started having them come in at lunch to complete it. Next year, I am going to put this rule into effect day one. I think independent practice is so important in math. Especially since our classes are 50 minutes long. Since I do many discovery lessons, we barely have time to get to the main ideas much less give them time to practice enough. Their homework score adds up to a major test grade. Next year I am going to reduce it’s worth however to equal a quiz grade. I would also like my students to do their homework more “neatly” next year but I haven’t figured out how to frame that yet. I actually switched up homework this week in 7th and it was a nightmare. I did not give them the answers and I we checked it together. I had them mark what they missed and then I collected it so I could look at it. So now I have 5 giants stacks of “graded” homework on my desk that I have barely glanced at. I don’t know how teachers that actually grade homework get it all done! We have blogged about Homework Policies before in MS Sunday Funday, but this week I wanted to focus on differentiated homework. I found some great posts about homework in my Google Reader this week so I am adding these here as well! Additionally, Sam Shah surveyed teachers about homework a couple of years back that I analyzed and summarized in this post. Those results changed my thoughts about grading homework – and I’ve never looked back! Thanks for great posts about homework. Bob Lochel, Worksheets and Differentiation – Not Always Mutually Exclusive! Eric Biederbeck, @vtdeacon, Math Homework- it shouldn’t be readiness only! Beth, Homework, Bane or Bliss?!? Listen to me present this live at Global Math (recording will be up 2/6/13). 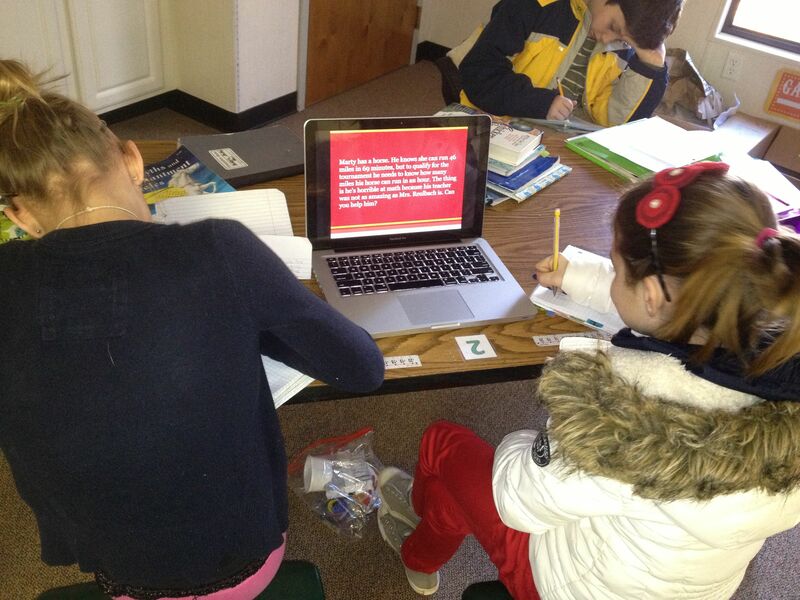 I have recently started offering “choice” homework assignments – and my students LOVE them. Last week in a survey, many of them said that they loved working on the choice assignments and requested to do more of them. For the choice assignment, students can do traditional homework (workbook problems only) OR they can do half of the workbook problems and then create their own word problem (with solution) based on that concept. They can write their problem on paper or create a Google Document and share it with me. The next day, I have the students work each other’s problems in class. The students like to share their fun problem. Plus, they help each other solve their problems when they get stuck or have a question. It is also great because sometimes they find mistakes in a problem and will help that person understand what they did wrong. They love working each other problems and teaching (and helping) each other. I walk around the room looking at their problems and helping as needed. 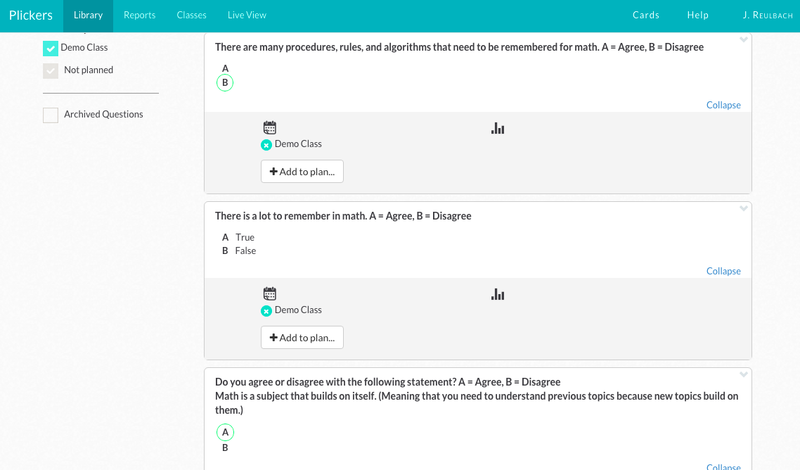 Choice assignments are automatically differentiated. Students having trouble with a concept often chose to do the workbook problems so they can check their answers. Most students who make up problems create ones that are similar to ones that we have done in class. However, some students make up more difficult problems or go above and beyond with their creativity. They are having so much fun making up their own math word problems – and spending so much more time thinking about math. Students usually dread working word problems but when they are creating their own and solving their friends problems they love them! I love how excited they are about their math homework and that they have asked me if they can do more choice assignments in the future. Another benefit for me is that I can use their problems in the future for subsequent classes. My students are creating creative and engaging word problems for future students! Here are some examples of the work they have created. Listen to the recorded presentation at Global Math (recording will be up 2/6/13). The first Tuesday night of each month, math teachers present their favorite ideas and lessons at the Global Math presentations. It is called “My Favorites” and has become my favorite presentations to watch on Global Math! Usually 5 or 6 teachers share something that they LOVE (lesson, idea, activity). I always come away learning so much from this one hour talk. This Tuesday night is “My Favorites”, and I am presenting one of my new favorite things I have started doing in class, Homework Choice Assignments. My student LOVE my new choice homework assignments. 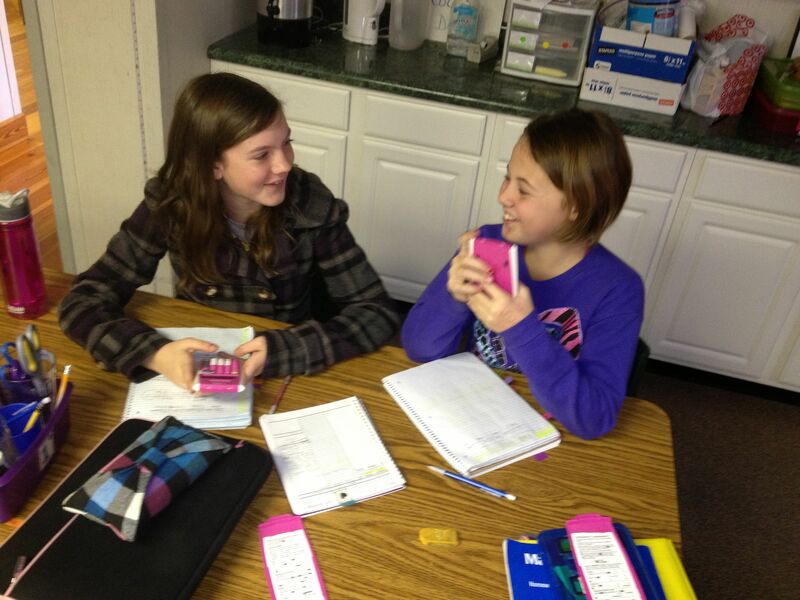 They are working harder on homework and learning more as well. Plus, Homework Choice Assignments automatically differentiate their homework assignments without me having to do it. I can’t wait to share it with you tomorrow on Global Math!